Want to finally write that book you've been talking about for years? Then read on. For the next eight weeks I’ll be telling you how and, best of all, it's absolutely free. From getting started, to creating characters, inventing plots, and how to catch an agent or publisher's eye, I’ll try to cover everything you need to know about the book world. 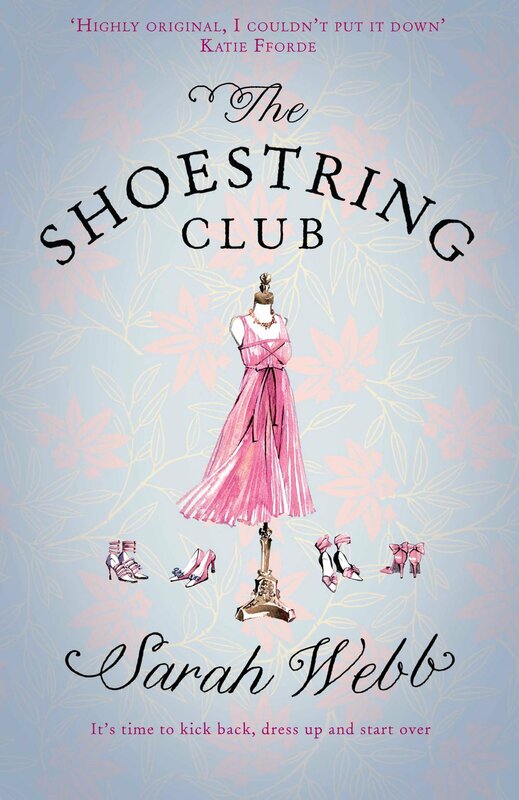 My tenth adult novel, The Shoestring Club has recently been published in Ireland (Sept in UK) and after over a decade of writing and publishing books I'd like to share some of that knowledge with you. And maybe once you're published you'll pass on what you know to other new writers. Just think of me as your own personal Writing Coach! So without further ado . . .
Week 1: Getting Started It’s terrifying, isn’t it, staring at a blank sheet of paper or a blank computer screen? The writer Gene Fowler once said ‘Writing is easy. All you do is stare at a blank sheet of paper until drops of blood form on your forehead.’ That’s where I come in. Over the next few weeks I’ll try to demystify the writing process and help you find your writing wings. I’ll also ask some experienced authors to give you some of their own writing tips. Before we start, there are three general pieces of advice that I always give to would-be writers: 1/ Be optimistic, plan for a miracle - new writers get published every day, so why not you? 2/ Work hard, but never let writing become a chore. If you’re not enjoying writing, your reader is not going to enjoy reading. Try to write with joy every day. It’s not always possible, to finish a book you must write even if you don’t feel like it, but it’s something to aspire to. 3/ Develop a thick skin and never take no for an answer. Get used to rejection, it comes with the territory. Think of it as book matchmaking, you just need to find the right person for your book, someone who truly loves it. More on that later. The first thing you need to be a published writer is motivation. You have to really, really want to write. It may sound obvious but many people have a vague idea that they’d like to write some day, but few people actually sit down and get on with it. So first, motivate yourself. Tell yourself that it’s not going to be easy, but if you work hard and put your heart and soul into it that you will succeed, you will finish that book. Then make the time to actually write. This may sound obvious but being a writer means making sacrifices. ‘I’d write a book if only I had the time.’ ‘I have this amazing idea for a book but I’m too busy to write it.’ Does this sound familiar? How many hours a week do you spend watching television, on Facebook or Twitter, surfing the internet? Be honest. Switching off the television in the evenings is a very good place to start. Try inventing your own soap opera in your head instead and translating it to paper - soon you’ll keep yourself entertained and you’ll also have the makings of a book to show for it. The best way to actually finish a novel is by writing a little every day or as often as you can every week - there’s no real secret, you just have to stick at it. You must write on a regular basis, you must keep the story and the characters ticking over in your head, otherwise you will lose your connection with the book. And when you’re not physically writing, you need to be thinking about your book whenever you can. Now that you’re mentally prepared and have made the time to write (and to think about your book), what do you need to get physically started? The good news is you don’t need the latest laptop; you don’t actually need a computer at all to begin with. All you need is a notebook and a pen. It’s that simple. But before you put finger to keyboard or pen to paper, it helps to start thinking about a genre. What’s genre? It simply means the type of fiction you want to write. For example are you interested in writing popular fiction with bite like Marian Keyes, a warm, family/friendship based novel like Maeve Binchy, crime like John Connolly, thrillers like Dan Brown? (Children’s books are a whole different ball game and I’ll talk about these at a later stage.) I would suggest the type of book you like to read is a good place to start. More about genre next week, but in the meantime have a think about what genre might suit you and your writing. It makes things much easier when it comes to finding an agent and getting published. And it will make getting started a lot easier. Each genre has its own conventions/’rules’ and this isn’t such a bad thing for writers who are just starting out – it gives you something to work with. For example popular fiction tends to have a happy or hopeful ending; in crime the murder/crime tends to be solved by the end of the book. So for your homework: make a positive start by getting motivated, making the time to write, firing up your computer or finding a pen and paper and, most importantly, thinking about what type of book you’d like to write, the 'genre'. Next week I’ll talk about inspiration and coming up with ideas.